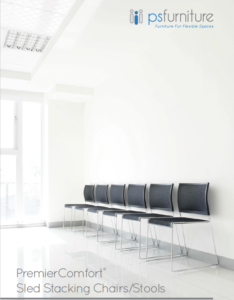 PremierComfort® Sled Stacking Stools are available in our PC400 Series, which stack perfectly and incredibly compact. 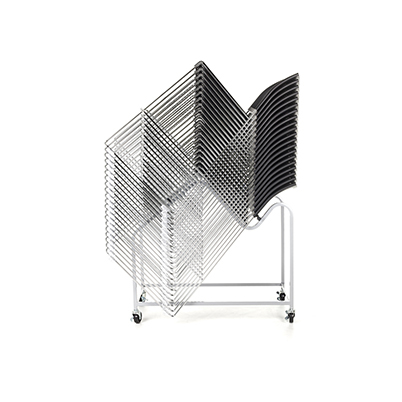 They are offered in different combinations of black poly or black mesh seat and back options. 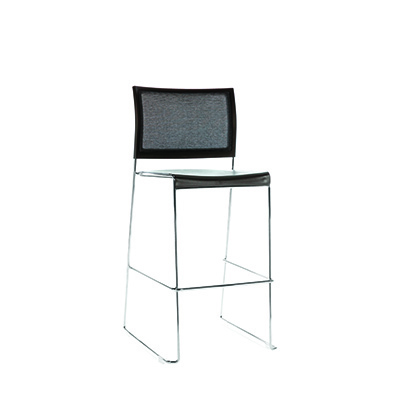 The attractive mesh design boasts stylish, durable comfort. 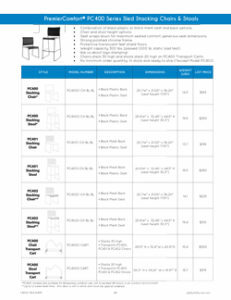 Our PC400 Stool Transport Cart stores an incredible 20 stools high!